Slimming BBQ Chicken steaks 3 ways, great if you are counting calories or following plans like Slimming World or Weight Watchers! 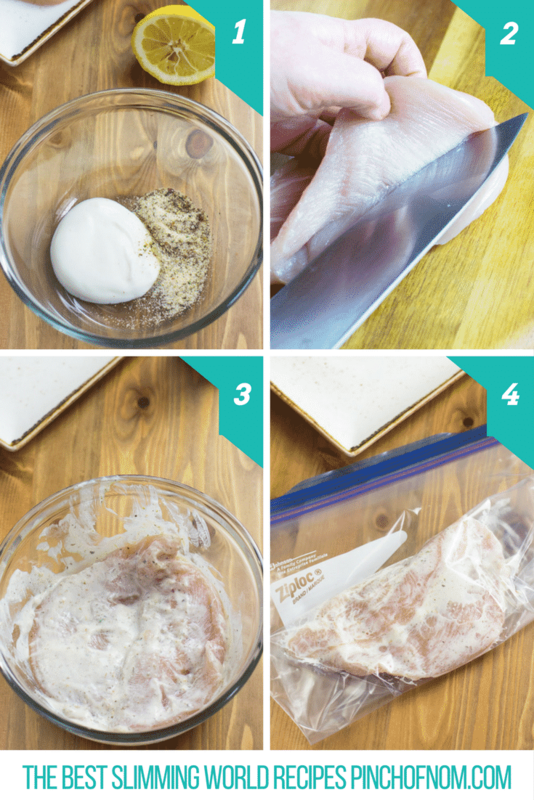 I know a lot of people are wary of cooking Chicken on the BBQ, so we thought we’d show you how easy it is to make tasty and slimming BBQ food with these BBQ Chicken Steaks. Before we get to the BBQ Chicken Steaks… I have to mention that we didn’t cook these on any old BBQ, we cooked them on a Char-Broil Gas2Coal BBQ. I can honestly say, I’ve never been keen on gas BBQ’s until this Char-Broil Gas2Coal BBQ came along. Cooking on gas outside is just boring – you don’t get any of that smokeyness associated with charcoal. 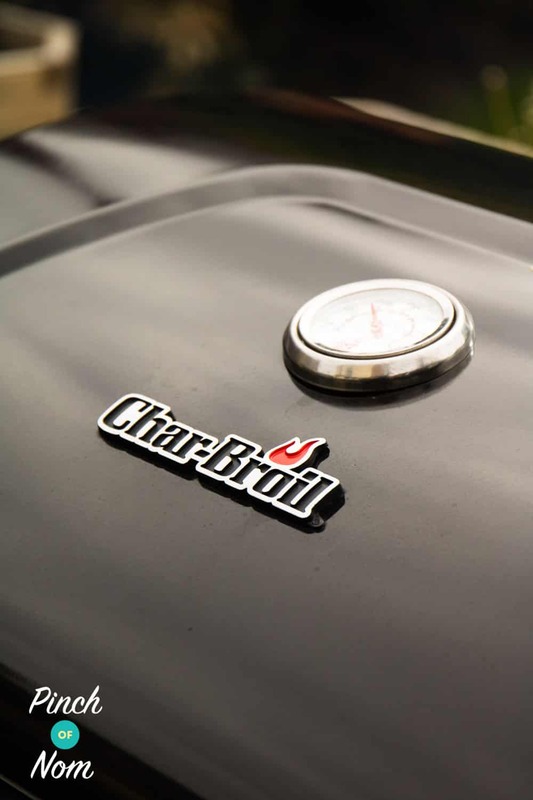 With the Char-Broil Gas2Coal BBQ you get the best of both worlds. You can use it either with or without charcoal. Charcoal I hear you cry… Charcoal takes ages to light! Not with this BBQ!! 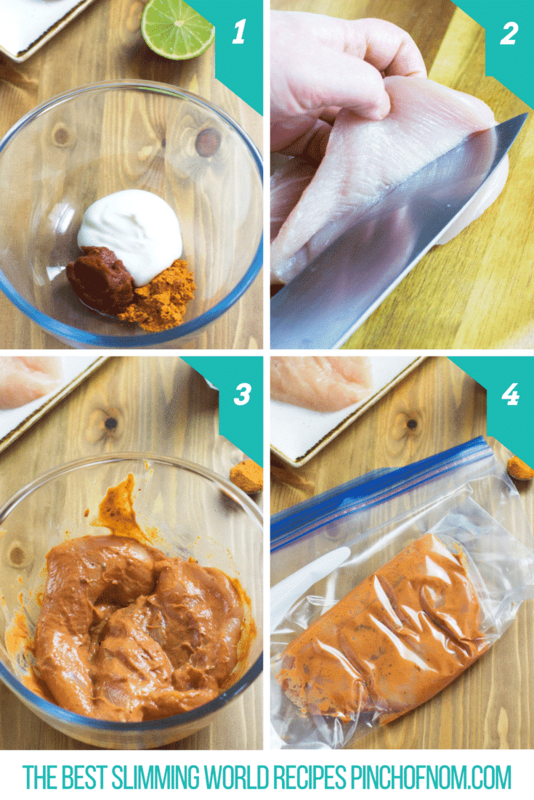 You can enjoy your BBQ Chicken Steaks in no time at all. 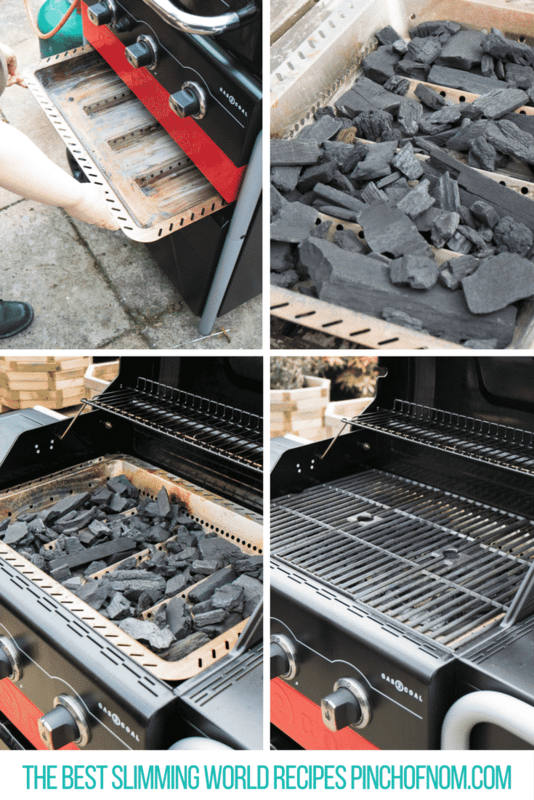 Seriously, if you’re looking for a new BBQ you should check this Char-Broil Gas2Coal BBQ out! 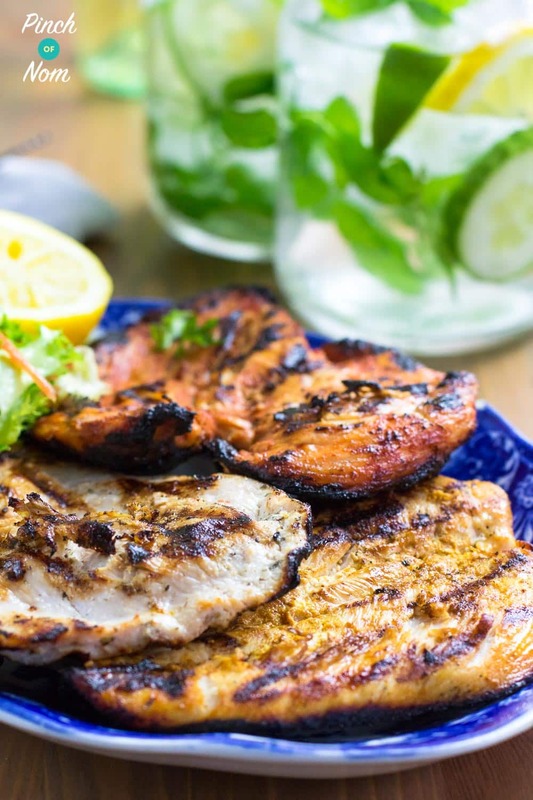 How Slimming World friendly are these BBQ Chicken Steaks? 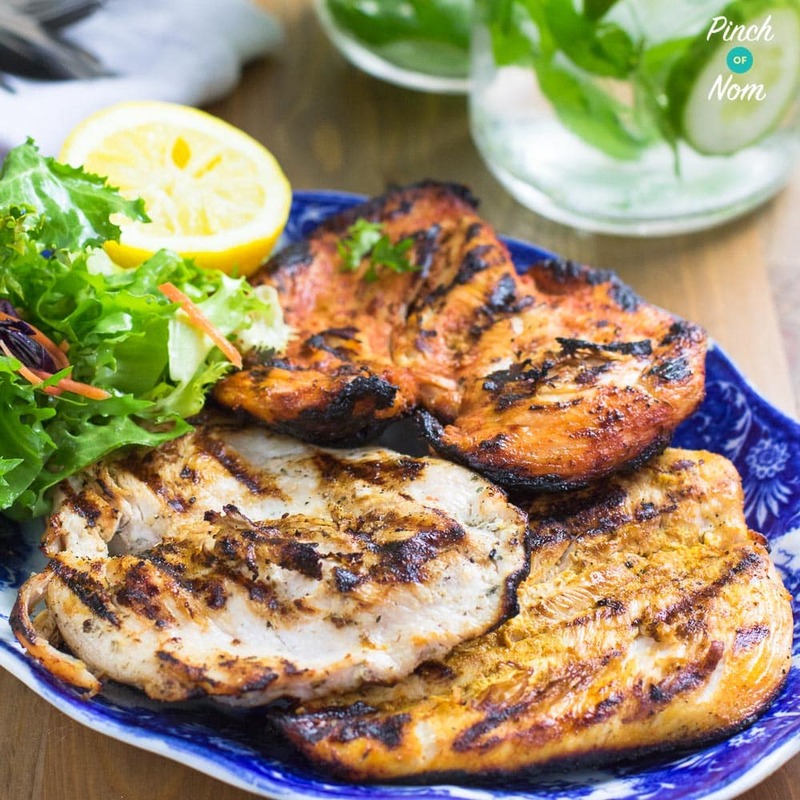 All three variations of these BBQ Chicken Steaks are Syn Free on Slimming World! Serve with plenty of speedy veg for a well balanced meal. How Weight Watchers friendly are these BBQ Chicken Steaks? All three versions of these BBQ Chicken Steaks are 0 Points on Weight Watchers, so you can enjoy guilt free! How do I make these BBQ Chicken Steaks with Garlic & Herbs? Scroll down to the bottom of this post for the full ingredients list & instructions. Mix together the garlic & herb seasoning, lemon juice and yogurt in a decent sized bowl. Put one of the chicken breasts on a chopping board (thick part furthest away from you). Place one hand on top of the chicken and slice through the middle of the breast, horizontally with a sharp knife. Don’t slice all the way through. If you do you won’t be able to open it out and flatten it slightly. Repeat this with the remaining chicken. 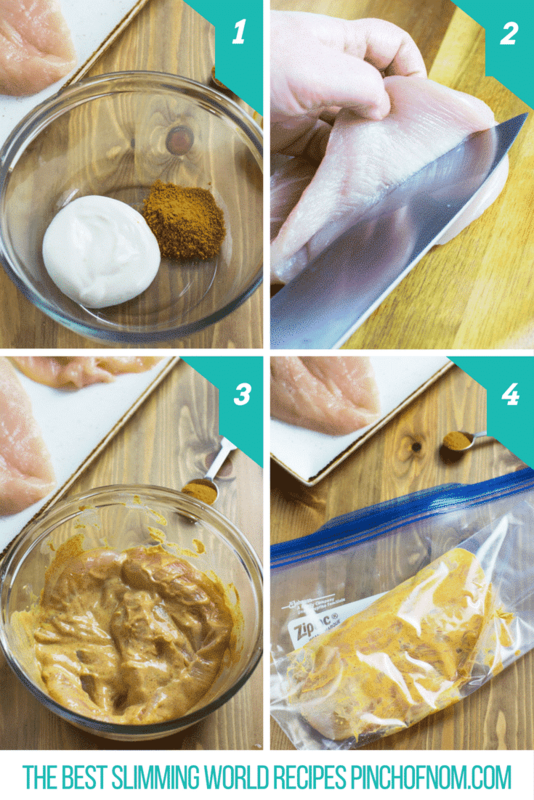 Add the chicken breasts to the marinade and coat them well. Cook on the BBQ for about 8 minutes, turning halfway through cooking. Check the temperature using a food thermometer (the meat should reach 170°F or 75°C) and make sure it’s not pink inside before serving. How do I make these BBQ Chicken Steaks with Cajun Seasoning? Mix together the Cajun seasoning, lemon juice and yogurt in a decent sized bowl. Place one of the chicken breasts on a chopping board, with the thick part furthest away from you. Put one hand on top of the chicken, then using a sharp knife slice through the middle of the breast horizontally. Don’t slice all the way through as you want to open out the breast and flatten it slightly. Do the same with the remaining chicken. Cook on the BBQ for about 8 minutes, turning halfway through cooking. Check the temperature using a food thermometer (the meat should reach 170°F or 75°C) and check there’s no pink inside before serving. 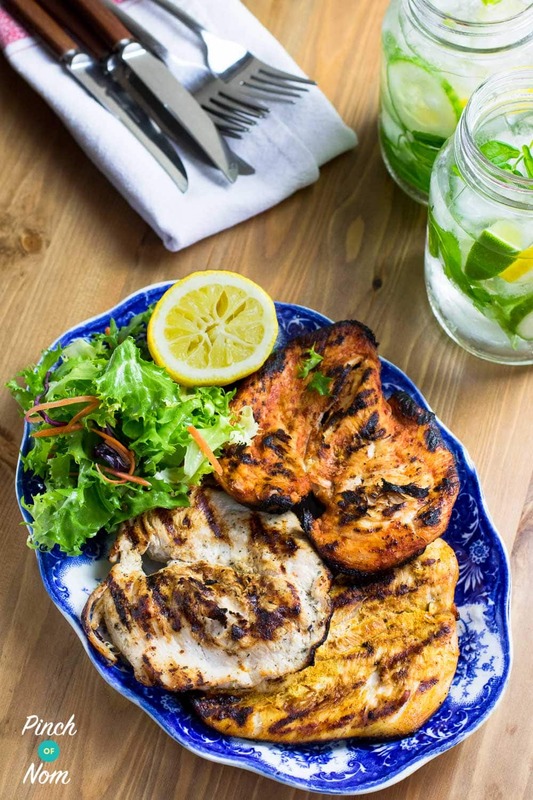 How do I make these BBQ Chicken Steaks with Tikka? Mix together the lemon juice, Cajun seasoning and yogurt in a decent sized bowl. Add the chicken breasts to the bowl and coat them well with the marinade. Cook on the BBQ for about 8 minutes, turning halfway through cooking. Check the temperature using a food thermometer (the meat should reach 170°F or 75°C) and make sure it isn’t pink inside before serving. Hi could you freeze the chicken with the marinade before you cook it or is it better fresh? Yes, you can cook them in the oven. No need to cover in foil, unless it starts to catch. Probably around 160°C for 25-30 mins, but please check the meat is thoroughly cooked through before serving.